Dr. Poston is fellowship trained and board certified in interventional pain medicine. He completed his fellowship training at the University of Utah and the world famous Huntsman Cancer Institute. 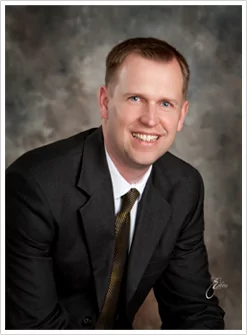 Dr. Poston is a native to Southeastern Idaho and graduated from both Rigby High School, and Ricks College. He completed his Bachelor’s degree at Idaho State University in Zoology with high honors. He is a graduate of the University of Washington where he obtained his Medical Doctorate degree (MD). After medical school, attended the University of Kentucky to complete his residency specializing in Anesthesiology where he was chief resident and voted by faculty and his fellow residents as the outstanding graduate in his class. Lastly, he completed a subspecialty fellowship in Interventional Pain Medicine at the University of Utah. Dr. Poston has had the highest level of training available for a pain specialist. He utilizes a multidisciplinary approach to treat pain. Dr. Poston is committed to service. He served a mission for his church in England and Wales and has served medical missions to the South American Amazon providing medical outreach to developing countries. Away from work, he enjoys spending time with his wife and children, waterskiing, sports and spending time in the outdoors. Fellowship trained and Board Certified in both Anesthesiology and Interventional Pain Medicine. Dr. Poulter is fellowship trained and board certified in both anesthesiology and pain management. He completed his fellowship training at the University of Utah and the world famous Huntsman Cancer Institute. 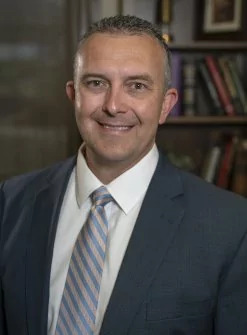 Dr. Poulter is a native to Southeastern Idaho and graduated from Rigby High School, Ricks College, and Idaho State University. 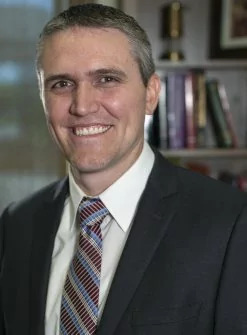 He received his Medical Doctorate degree (MD) from the University of Utah and completed the Anesthesiology and Critical Care Residency at the University of New Mexico, where he was selected by the faculty as resident of the year. He returned to the University of Utah to complete a subspecialty fellowship in Interventional Pain Management. Dr. Poulter has the highest level of training available for a pain specialist. He utilizes a multidisciplinary approach to pain treatment. Dr. Poulter is committed to service. He served a two-year mission for his church in Norway. He is active in his community and is involved in a number of service positions. Away from work, he enjoys spending time with his spectacular wife and 5 busy children. 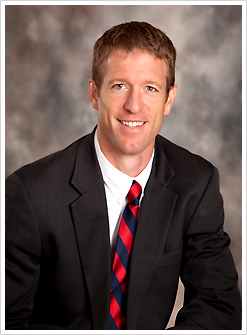 Dr. Snell is fellowship trained and board certified in interventional pain medicine. He completed his fellowship training at the Oregon Health and Science University. Dr. Snell is a native to Salt Lake City, Utah. He completed his Bachelor’s degree at the University of Utah in Biology with an emphasis in Pharmacology. He is a graduate of the University of Utah School of Medicine where he obtained his Medical Doctorate degree (MD). After medical school, completed a transitional internship at Deaconess Medical Center in Spokane, Washington. He completed a residency in Anesthesiology at the University of Utah, where he was elected and served as Chief Resident. It was there where he was voted by faculty as the resident of the year in Pain Management. 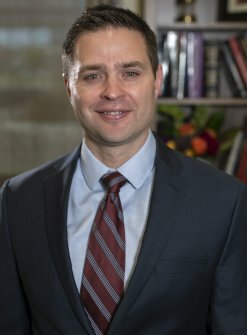 After finishing residency, he completed a subspecialty fellowship in Pain Medicine at the Oregon Health and Science University, a comprehensive pain program with training in Interventional Pain Medicine, medical management of chronic pain and management of both chronic and acute pain. Dr. Snell has had the highest level of training available for a pain specialist. He utilizes a multidisciplinary approach to treat pain. After finishing training Dr. Snell practiced in Weatherford, Texas. During that time he received further training receiving the title of Fellow of Interventional Pain Procedures (FIPP) from the World Institute of Pain, and earning the title of Diplomate of the American Board of Interventional Pain Physicians (ABIPP) from the American Board of Interventional Pain Physicians. In 2014, when an opportunity to work closer to family presented itself Dr. Snell and family left Texas and moved to Pocatello. They love the people here in Idaho, and the many outdoor activities to available here in Southeastern Idaho. He joined the great Pain and Spine Specialists team in May of 2017. Dr. Russell is fellowship trained in interventional pain medicine. He completed both his anesthesiology residency and pain medicine fellowship training at The Ohio State University and is board certified. Dr. Russell has the highest level of training available for a pain specialist. 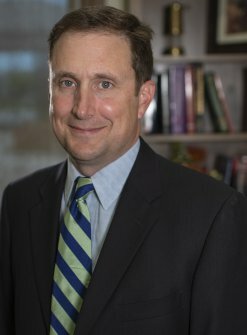 He utilizes a multidisciplinary approach to pain treatment. 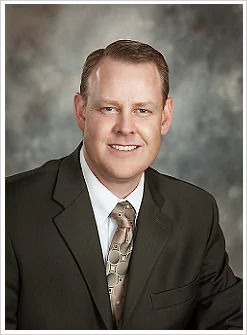 Dr. Russell was born and raised in Ogden, Utah. He graduated from Weber High School and Weber State University. Prior to medical school, he obtained his Master’s of Public Health from the University of Utah. He attended medical school at Arizona College of Osteopathic Medicine where he graduated with honors earning his Doctor of Osteopathic Medicine (DO) degree. Dr. Russell is committed to service. He served a two-year church mission in Mexico and has aided in medical missions in Peru and the Dominican Republic. Away from work, he enjoys spending time with his wife and daughters, reading, playing soccer, watching sports, cycling, running, skiing, and playing golf. Dr. Runyan is fellowship trained and board certified in interventional pain. He completed his Bachelors degree at Brigham Young University – Idaho. He is a graduate of the University of Washington School of Medicine where he obtained his Medical Doctorate degree (MD). 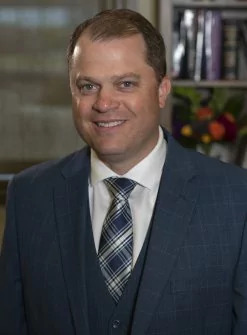 After medical school, Dr. Runyan attended the University of Utah and world renowned Huntsman Cancer Hospital to complete both his residency, specializing in Anesthesiology, and a subspecialty fellowship in Interventional Pain Medicine. Dr. Runyan has had the highest level of training available for a pain specialist. He utilizes a multidisciplinary approach to treat pain. Dr. Runyan is originally from Colorado. He is committed to service and served a mission for his church in French Polynesia where he became fluent in both the French and Tahitian languages. Away from work, he enjoys spending time with his wife and children, skiing, sports, and being in the outdoors. Christy Taylor graduated from Skyline High School in Idaho Falls and earned her nursing degree from Brigham Young University-Idaho in 1997. 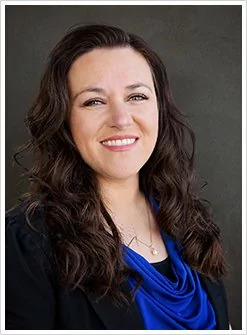 She later finished her undergraduate at Idaho State University and received her master’s in a family Nurse Practitioner program through South University. Christy has worked for over 20 years as a Registered Nurse before joining Pain & Spine Specialists of Idaho in 2018. She plans on continuing the same compassionate care she learned as a nurse to those who are suffering from life-altering chronic pain. Christy is a mother of 4 children and with her husband enjoys snowboarding, biking, mountaineering, and supporting their children in their athletic and academic pursuits. Matt Nelson, PA-C graduated from Idaho State University in Pocatello, Idaho in 2004 with a Master’s Degree in Physician Assistant studies. He did his undergraduate studies at Utah State University in Logan, Utah. He came to Pain & Spine Specialists of Idaho in September 2011. 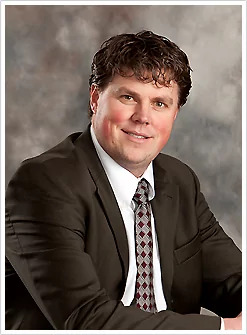 Prior to joining Pain & Spine Specialists of Idaho he worked in Family Medicine for over 7 years. In his free time he enjoys spending time together with his wife and four children. They have lived in Idaho since 2002. Matt was raised in Utah. He’s glad to call Idaho home. The family enjoys playing games, going on walks, playing outside, and going to movies. Matt enjoys watching and playing sports. He’s an avid Utah Jazz fan. Travis Allen, PA-C was born and raised in Southeastern Idaho and has always called Idaho his home. During his undergraduate studies he graduated from BYU Idaho with a bachelor’s degree in biology. He then continued his education at Idaho State University where he obtained his master’s degree in physician assistant studies. He immediately began working in an urgent care and family practice setting. There he enjoyed helping patients with a wide variety of health concerns. In 2013, he joined Pain & Spine Specialists of Idaho and committed to helping patients in chronic pain. He is a devoted husband and father of 4 boys. He enjoys spending time with his family and discovering new activities they can do together. He has long been involved in scouting and often finds time for coaching his children’s sports teams. He has always been an avid outdoorsman and is always looking for new ways to enjoy what nature offers. 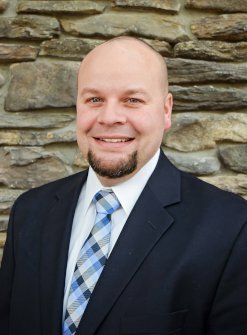 Ryan Williams, PA-C was born and raised in Southeastern Idaho. He graduated from Firth high school and obtained his bachelor’s degree in Biology at BYU-Idaho. He went on to attend Idaho State’s Physician Assistant program, graduating in 2009. He enjoyed practicing in Family Medicine for 5 years prior to joining Pain and Spine Specialist of Idaho in 2014. When not at work he enjoys spending time with his wife and 3 children. He enjoys many outdoor activities including mountain biking, camping, fishing, and ATV riding. He is a sports enthusiast and can often be found playing or watching a sporting event. Jed Willardson, PA-C graduated from Idaho Sate University in Pocatello Idaho in 2008 with a Master’s Degree in Physician Assistant studies. Prior to that he received a bachelor’s degree in Biology from Brigham Young University Idaho. Jed has been working in Pain Management since 2008. He understands that chronic pain is a complex condition that can affect patients mentally, physically and emotionally. Jed enjoys using a compassionate and knowledgeable approach, utilizing multiple treatments and modalities to achieve improved pain control and increased function. Jed has lived in Idaho since 2002. In his spare time, he enjoys spending time with his wife and 3 sons. He enjoys being in the outdoors hunting, fishing, camping, hiking, and horseback riding. 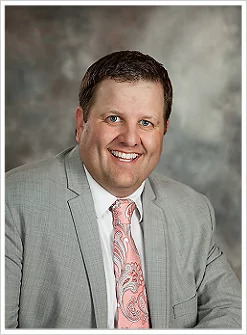 Weldon Richardson, PA-C graduated from Idaho State University’s Physician Assistant program in 2011 with a Master’s in Physician Assistant Studies. He has been working in pain management ever since. He enjoys working with patients to help manage their pain not only through medication management but through interventional procedures. Weldon finds great satisfaction in reducing patient’s pain in order to help them do the activities that they enjoy. Weldon was born and raised in Jackson, Wyoming. He has called Idaho home since 2003. In his free time, Weldon enjoys spending time with his family. They enjoy skiing, hiking, and mountain biking together. Weldon also enjoys flying both fixed wing and rotor aircraft and prior to working as a Physician Assistant Weldon worked as a helicopter pilot. Tyler Hepworth, PA-C graduated from Touro University in Henderson, Nevada in 2010 with a Master’s Degree in Physician Assistant studies. He completed his undergraduate studies at Idaho State University in Pocatello, Idaho. He joined Pain & Spine Specialists of Idaho in November 2017 after working in the emergency room for 7 years. Outside of work Tyler enjoys hanging out with his wife and their 4 boys on the ski hill, soccer field, basketball court, home, and pretty much everywhere else! Tyler also enjoys waterskiing and warm weather! He dominates his boys in Monopoly, loves to “putter” on projects, and has a seriously mean sweet tooth!